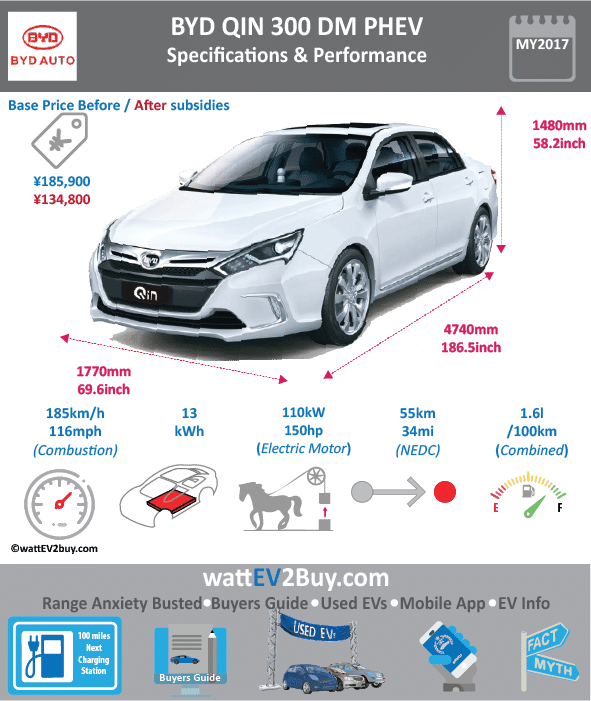 wattev2buy explore the BYD QIN PRO DM PHEV specs, range, price, battery, charge time, and pictures as it vies for a position in the fast-growing EV market. The BYD Qin PHEV is an FWD 4-Door Sedan that replaced the BYD F3DM PHEV. The vehicle’s drivetrain is the new DM II from BYD. The DM-II, which stand for Dual-Mode was a significant improvement on the original DM platform, which battery pack weight was nearly double due it’s lower power density. The Qin’s commercial release first introduced at the Beijing Auto Show in 2012, was scheduled for December 2013 and in 2015 in the Philippines. The Qin is assembled at the Xi’an plant in Shaanxi China. BYD added a pure electric version of the Qin EV300 in 2016. 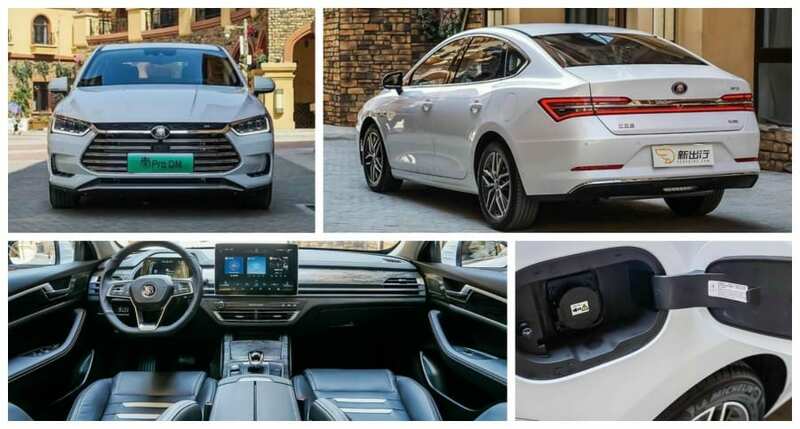 The Qin PHEV remained one of the most popular electric cars in China and sold nearly 120,000 by mid-2018 which are the second most EVs. If one should add the sales of the pure electric model, it will make the Qin Series is the best selling EV of all time in China (July 2018). 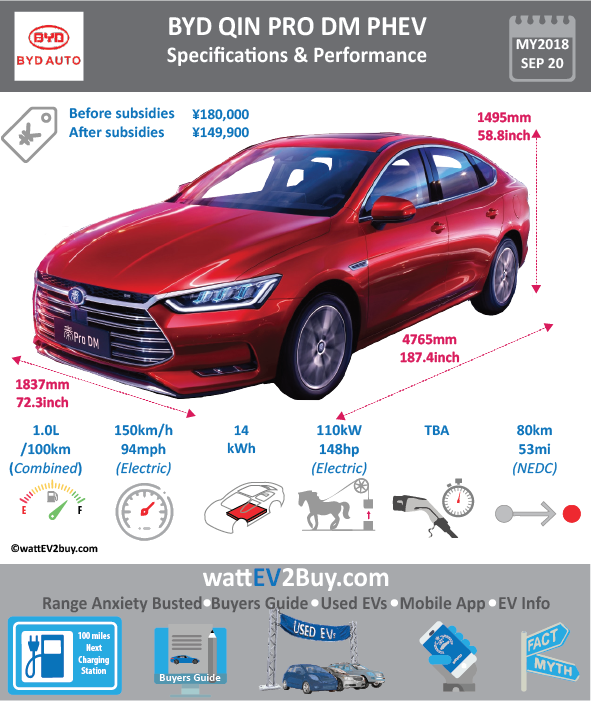 Interested in buying the BYD QIN DM PHEV? See how the price and range of the BYD QIN DM plug-in electric vehicle compare with its competitors in key markets. 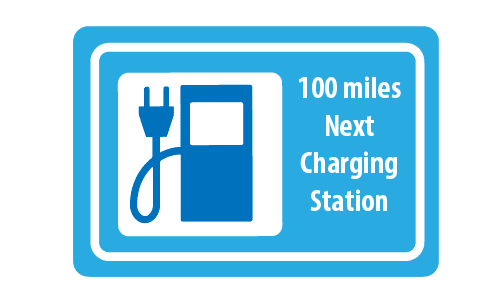 Go to our detailed breakdown of Global EV Sales to see how the BYD Qin PHEV electric car fares to its competitors in the fast-growing EV market. Currently there are no Top 5 EV news related to the BYD Qin PRO DM electric car.